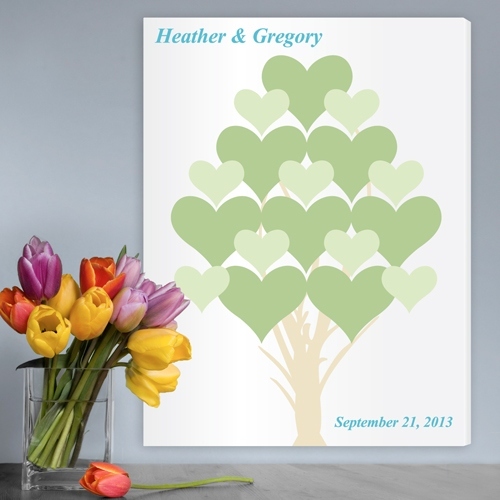 * A pretty tree full of hearts, fashioned in subtle tones of green, adorns this attractive signature canvas print. * Ideal for newlywed couples or even those celebrating a landmark anniversary, it's a handsome accent piece for any wall. * This canvas includes first names and date and provides a long-lasting way to remember that special occasion.